BEST DAY: Sunday; there is chance of rain on Saturday morning. SUN AND MOON: Sunrise Saturday will be at 5:28 am; sunset at 8:17 pm. Moon rise Saturday night will be at 5:27 am Sunday morning, and Moon set at 7:47 pm Sunday. On early Sunday morning the Moon will be Waning Crescent with less than 1 % of its visible disk illuminated. There will be a New Moon on Monday at 12:13 am. FROST ADVISORY FRIDAY NIGHT: The National Weather Service has issued a Frost Advisory for Lewis and Jefferson Counties, including the Tug Hill Plateau. More information about the Frost Advisory can be found here. SPRING CONDITIONS: The weekend is expected to be cloudy with daytime high temperatures forecast to be in the upper 60s and lower 70s. There is rain in the forecast for Friday night and possibly Saturday morning. Nighttime temperatures will be in the 40s. Expect muddy trail conditions, especially at mid and upper elevations, a high fire danger, and some lingering snow on the ground above about 4,000 feet (trails are packed). Always check the weather forecast before entering the backcountry, carry proper safety equipment, inform someone of your itinerary, and be prepared to spend an unplanned night in the woods. AVOID MUD SEASON IN THE HIGH PEAKS: Trails are muddy and wet at this time of year, especially in the High Peaks which only recently lost most of its snow pack. Consider hiking in other areas of the Adirondack Park to avoid contributing to the widening of trails, and the ecological damage mud season hiking can do. If you must hike in muddy conditions, stay on the trail, and walk through – not around – mud and water on the trails. BUSY VICTORIA DAY WEEKEND: This is Victoria Day Weekend in Canada. Visitors to the the wilderness areas in this region, particularly the Eastern High Peaks Wilderness, should be aware that trailhead parking lots and interior campsites may reach capacity. Visitors should plan accordingly and are advised to seek backcountry recreation opportunities in other areas of the Adirondack Forest Preserve. FIRE DANGER MODERATE – FIRE BAN IN EFFECT: The Fire danger in the Adirondacks is MODERATE and numerous wildfires have been reported around the region, including a fire this week that burned 26 acres in Newcomb. Across New York State 110 fires have burned nearly 3,600 acres so far this year. The US Drought Monitor continues to report the entire Adirondack Region as ABNORMALLY DRY. A ban on open burning, including campfires and residential brush, is now in effect in the Adirondack Park through May 21st. 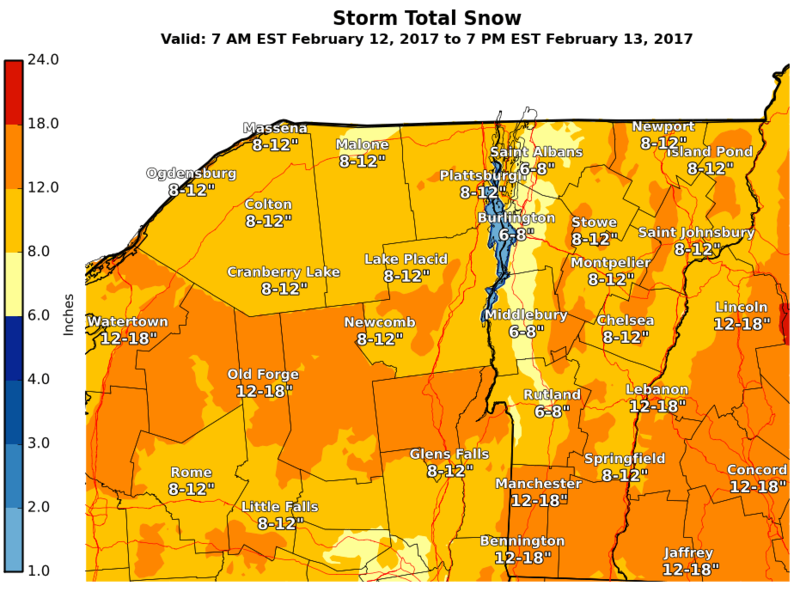 KNOW THE LATEST WEATHER BEFORE YOU GO: Be aware of weather conditions at all times by checking Adirondack region forecasts at Burlington and Albany, and the High Elevation, Recreation, or Lake Champlain forecasts. LONG RANGE FORECAST: The upcoming week’s forecast is calling for partly cloudy skies with temperatures in the 60s and 70s and a chance for showers on Tuesday. Next Saturday is forecast to be in the upper 70s and sunny. ICE IS OUT: Ice is now out on all waters. RIVERS AND STREAMS: Waters are running about normal for this time of year, currents are swift and water temperatures are cold. Use caution on and near rivers and streams this weekend. Check local streamgages on the USGS website for waters where you intend to recreate. Rafting on the Hudson River is underway. The North Creek streamgage was at 4.88 feet and falling on Thursday afternoon; the Lake Champlain gage at Whitefall is at 96.36 feet and rising. WATER TEMPERATURES COLD: Water temperatures are mostly in the 40s and 50s. Occupants of small boats operating on waters below 70 degrees should be prepared with cold water protective gear and wear life jackets. Wearing a properly zipped and or buckled life jacket will likely keep a person’s head above water and support their body should swimming ability fail or they become unconscious due to cold water immersion. The Coast Guard estimates that 80% of all boating deaths might have been prevented had a life jacket been worn. BITING INSECTS: Black flies and mosquitos are present at lower elevations. Follow these steps to minimize the nuisance of biting insects: wear light colored clothing, long sleeve shirts, and long pants; tuck shirts into pants, button or rubber band sleeves at the wrist, and tuck the bottom of pant legs into your socks; pack a headnet to wear when insects are thick. USE BEAR-RESISTANT CANISTERS: The use of bear-resistant canisters is required for overnight users in the Eastern High Peaks Wilderness between April 1 and November 30. All food, toiletries and garbage must be stored in bear-resistant canisters. The use of bear-resistant canisters is recommended throughout the Adirondacks. DO NOT RELY ON TECHNOLOGY: Do not depend on electronic technology in the backcountry. Cell phone coverage is spotty at best and often non-existent. GPS signal can be poor under heavy tree cover. Batteries expire quickly in cold temperatures. Plan and prepare before entering the backcountry and always carry a map and compass for navigation or at least as a backup – and know how to use them. KEEP DOGS LEASHED: Dog owners are reminded that dogs must be leashed in the Eastern Zone of the High Peaks when on trails, at primitive tent sites, at lean-to sites, everywhere above 4,000 feet, or at other areas where the public congregates. It is recommended dogs be kept leashed in most areas for the safety of your dog, the protection of wildlife and as a courtesy to fellow hikers. DEC CAMPGROUNDS NOW OPEN: All DEC campgrounds are now open. ** Stay On Trails On Summits: Stay on trails or deep snow when on summits. Exposed and ice covered sensitive alpine vegetation can be easily damaged under winter conditions. 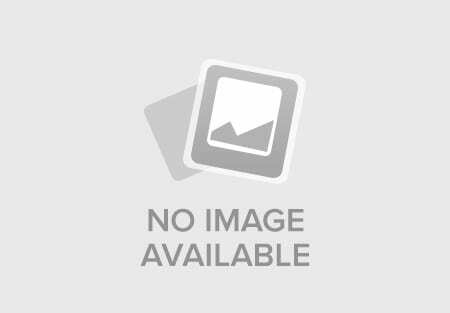 ** Busy Victoria Day Weekend: This is Victoria Day Weekend in Canada. Visitors to the Eastern High Peaks Wilderness and other popular locations should be aware that trailhead parking lots and interior campsites may reach capacity. Visitors should plan accordingly and are advised to seek backcountry recreation opportunities in other areas of the Adirondack Forest Preserve. South Meadow Lane near Adirondac Loj remains barricaded and closed to motor vehicles until the end of the spring mud season. The trailheads for the South Meadows/Marcy Dam truck trail, Mt. Van Hoevenberg, and Klondike Notch remain open; the closure adds just under a mile of hiking. Garden Parking Area Fee: The Town of Keene has begun charging for parking at The Garden Trailhead. ** Whiteface Memorial Highway Opening: The Whiteface Veterans Memorial Highway will be open May 16, 17, 23, 24, 25, 30, 31 from 8:45 am – 5:30 pm; the cost is $11 car and driver, and an additional $8 for each additional passenger; cyclists are $8. The Cloudsplitter Gondola and other Whiteface base area activities will be opening June 5th. Route 86 Bridge Closed: The Route 86 bridge over the West Branch of the Ausable River in Wilmington, Essex County, is closed to vehicles and pedestrians for a bridge replacement project. Businesses near the bridge remain open. The new bridge is expected to be opened by June 1. Detours direct motorists to Springfield Road (Essex County Road 83) and Fox Farm Road (Essex County Road 63). More information can be found here. Route 73 Bridge Work: The bridge carrying Route 73 over the East Branch of the Ausable River in Keene has been reduced to one alternating lane through November. The rehabilitation of this bridge, sometimes known locally as the “Post Office” bridge, will include replacement of its superstructure, including the beams and concrete deck. The concrete approaches will also be replaced. Work will be done in two stages. During construction, traffic will be controlled by temporary traffic signals at either end of the bridge. The bridge will be open to two travel lanes in late July to accommodate the annual Ironman Triathlon Race. ** Elk Lake Trails and Clear Pond Gate: The Clear Pond Gate is open and Elk Lake Road is open to public motor vehicle traffic to the Elk Lake Trailhead. ** Connery Pond Road: The Connery Pond Road is open to public motor vehicle traffic. However, hikers accessing Whiteface Landing should park at the paved parking area along Route 86 immediately west of the bridge over the West Branch of the Ausable. A trail connects the parking area and Connery Pond Road. Hikers may use the road to access trails to Connery Pond, Lake Placid and Whiteface Landing. ** Corey’s Road Reopened: The gate on Corey’s Road has reopened. Some Climbing Routes Closed: Although all routes at the Upper Washbowl Cliffs in the Chapel Pond Area have reopened, routes on the Lower Washbowl Cliffs and all routes at Moss Cliff in the Wilmington Notch remain closed due to the presence of peregrine falcons. ** Eagle Cave: Eagle Cave in the Siamese Pond Wilderness is closed from October through May to protect hibernating bats. ** Moose River Plains Wild Forest: All roads remain closed for mud season. ** Perkins Clearing/Speculator Tree Farm Conservation Easement Lands: All roads designated for public motor vehicle traffic on the Speculator Tree Farm Conservation Easement are open and in good condition. All roads designated for public motor vehicle traffic – except a portion of the Jessup River Road – on the Perkins Clearing Conservation Easement are open with a some soft spots. Motorist should stay in the center of the roads as much as possible. The section of the Jessup River Road leading to the Spruce Lake Trailhead remains closed beyond the barricade due to a number of soft spots. DEC is working on that section of road so it can be opened in the near future. Blue Mountain Wild Forest/Township 19 Tract Conservation Easement Lands: The O’Neill Flow Road and its gate and the Barker Pond Road are closed to public motor vehicle traffic until the end of the spring mud season. Jessup River Wild Forest: The two designated primitive tent sites at the northern end of Fawn Lake have been closed for rehabilitation. Two new tent sites will be designated this summer. ** Ferris Lake Wild Forest: The Powley-Piseco Road is open to public motor vehicle traffic. ** Prospect Mountain, Lake George: Prospect Mountain Veterans Memorial Highway will open May 23 and remain open through October 25. ** Lake George Wild Forest (Western): Jabe Pond Road has reopened to motor vehicles. The road is rough so use caution. Gates are closed on the following roads until the end of mud season: Lilly Pond Road, Long Pond Trail, Palmer Pond Road, Gay Pond Road, and Buttermilk Road Extension. ** Shelving Rock Road: Shelving Rock Road is open to public motor vehicle traffic. Shelving Rock Climbing Routes: Climbing routes on the Main Wall (left of Wake and Bake Buttress) from the Snakecharmer Corner to Infinity Crack in the Shelving Rock area are closed to climbers due to the presence of peregrine falcons. Lake George Wild Forest (Eastern) The town of Fort Ann has reopened the Shelving Rock Road to motor vehicle traffic. Dacy Clearing Parking Area and Dacy Clearing Road remain closed to motor vehicles for spring mud season. They will be opened when they dry and are suitable for motor vehicle traffic. Dolph Pond Road in the Dolph Pond State Forest is open to public motor vehicle traffic. Hunters may use the road to access the state forest for turkey hunting. Notch Lane at the nearby Mt. Tom State Forest is open. ** Essex Chain Lakes Complex: Chain Lakes Road North and Drakes Mill Road are open to allow for public motor vehicle access to the the Hudson River/Polaris Bridge Parking Area. Chain Lakes Road South is open to public motor vehicles beyond the Rafter Parking Area. The Old Red Finch Gate remains closed, motor vehicles will not be able to access the Old Gooley Club Parking Area. The Shadow Dam Gate and the Cornell/Deer Pond Road, which provide access to the Deer Pond Parking Area, remain closed to public motor vehicle traffic until the end of the spring mud season. Black Mountain: The gate and access road for the Black Mountain Trailhead are closed to motor vehicles until the end of the spring mud season. Poke-O-Moonshine: All rock climbing routes on the Main Face of Poke-o-Moonshine Mountain remain closed to climbers to allow peregrine falcons to establish nest sites except for climbing routes #1 Opposition through #24 Womb with a View as described on pages 38-45 of Adirondack Rock – A Rock Climber’s Guide. ** Upper Saranac Lake Boat Launch: The Upper Saranac Lake Boat Launch is closed for major reconstruction. It is scheduled to reopen before Memorial Day Weekend 2015. ** Saranac Lakes Wild Forest: The Connery Pond Road has reopened. The Lake Clear Girl Scout Camp Road (aka the St. Germain Pond Road) is open to motor vehicles. ** Kushaqua Tract Easement Lands: The Mountain Pond Road has reopened to public motor vehicle traffic. ** William C. Whitney Wilderness: The Lake Lila Road will open to public motor vehicle traffic by this weekend. Sable Highlands Conservation Easement Lands: Barnes Pond Road and its gate are closed to public motor vehicle traffic until the beginning of the 2015 hunting season. The D&H Road and its gate are closed to public motor vehicle traffic until the end of the spring mud season. ** St. Regis Canoe Area: The roadway and gate for access to Little Green Pond and the Little Clear Pond Hand Launch Site are open to motor vehicles. Floodwood Road is open to motor vehicle traffic. General warnings and announcements drawn from DEC, NWS, NOAA, USGS, and other sources. Additional detailed Adirondack Park camping, hiking, and outdoor recreation information can be found at DEC’s webpages. 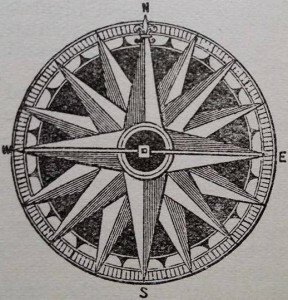 A DEC map of the Adirondack Park can also be found online [pdf]. The DEC Trails Supporter Patch is available for $5 at all outlets where sporting licenses are sold, on-line and via telephone at 1-866-933-2257. 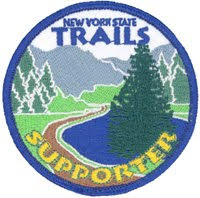 Patch proceeds will help maintain and enhance non-motorized trails throughout New York State.